Is Field Service Management software useful for your company? Field Service Management software allows Maintenance, Contracting, HVAC and Inspection companies to optimize their field service teams. The speed and quality with which you can react to customer requests helps to improve customer satisfaction and attract new customers. Fulfilling the agreed upon Service Level Agreements (SLA’s) makes all the difference. 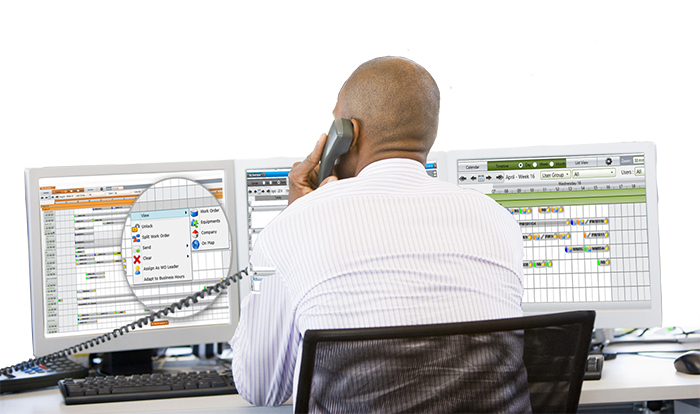 Your Field Service Manager or Dispatch Operations creates the assignments or receives them from the work planner or helpdeskand immediately forwards them to the appropriate service technician. Because everything happens real-time, the field service dispatchercan easily see which technicians are doing, what and whether or not they are still on schedule. This way certain jobs – if necessary – can be easily rescheduled or assigned to other colleagues. 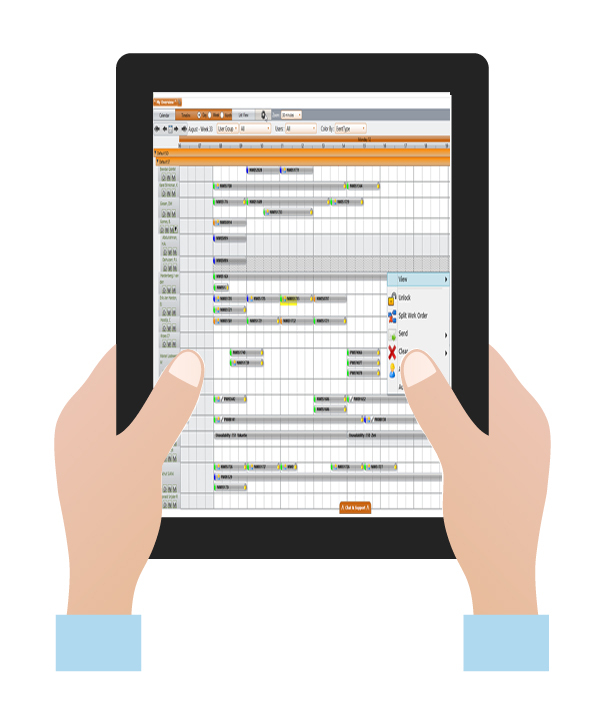 ♦ Odyssee Mobile Visual Scheduler speeds up the planning and scheduling process; less time spent at a keyboard means more time doing hands-on work. ♦ Process automation creates high integrity, compliant and confident planning and scheduling processes. ♦ Easy to learn and easier to use built-in Odyssee Mobile user interface ensures immediate user adaptation resulting in speedy ROI and low TCO. ♦ Track the technician’s current inventory and how far they are from a restocking station, etc. ♦ Have a real time overview of the technician’s location and who can be sent to deal with unforeseen circumstances, thanks to Geo localization or GPS fleet management. ♦ Thanks to the electronic signature they know who signed the work order, as well having an overview of hours and used spare parts in his mailbox. 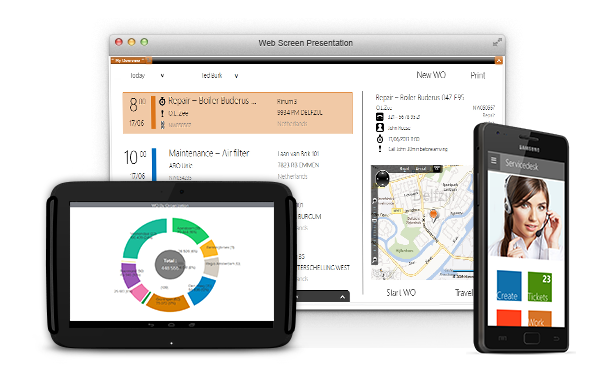 Note that the cloud field service software from Odyssee Mobile offers a free trial. Experience for yourself on the internet what the benefits of a field service management tool mean for your business or ask Odyssee for a free ROI calculation.